As I write this I am listening to the winter wind howl through the trees of Sunset Park and summer seems very distant. How sad that I have been meaning to write this entry since then! 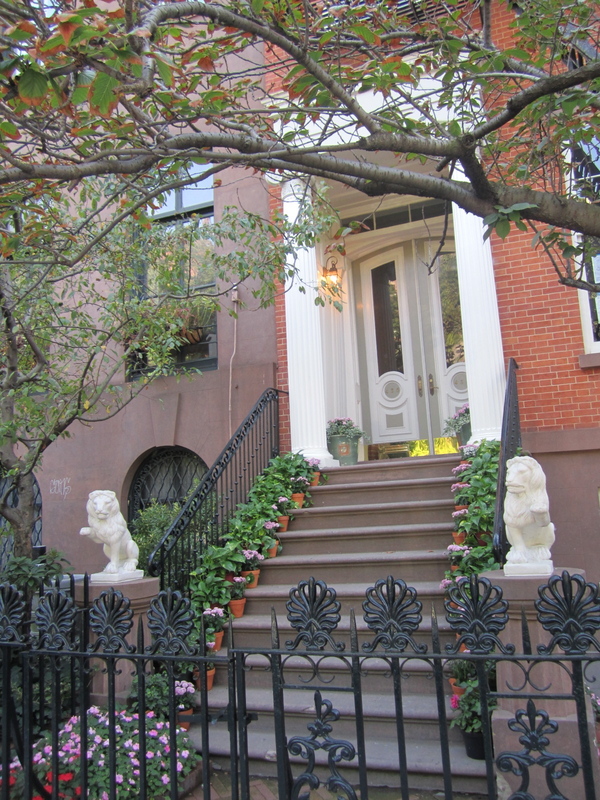 But to follow-up on my entry about my favorite block of the Flatiron District, I wanted to write about one of my favorite walking routes through West Chelsea. Since I am an irrepressible Francophile, the places that caught my eye focus on France, but there’s so much to be had in this district. And the best part is, so much of it is eye-catching you don’t have to buy it to enjoy it! 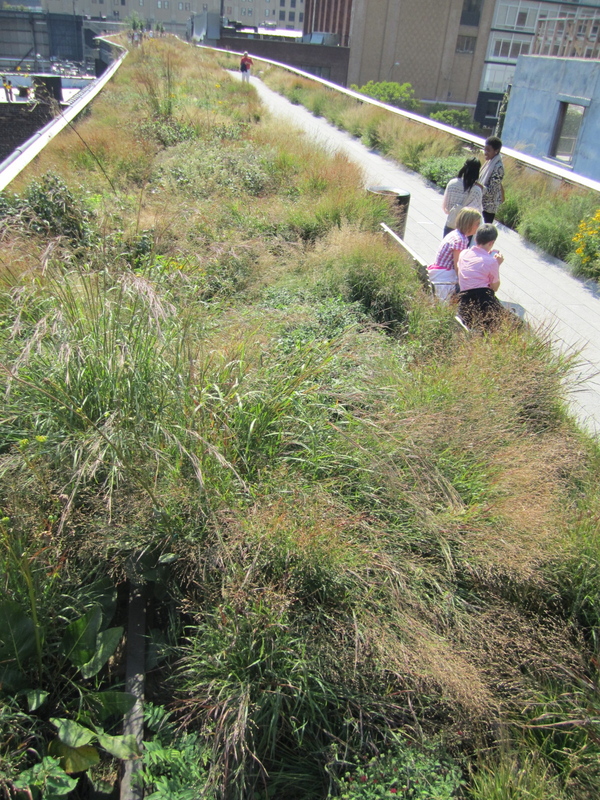 The Highline Park is a far west, obvious place to start. Inspired partially by the Promenade Plantee in Paris, this revamped elevated rail line has been celebrated since it’s open a few years ago. It’s a wonderful place to go in any season and I love the combination of art, architecture and native plants. I love running my hand through the grasses and smelling a meadow in Maine instead of New York City. I particularly loved Valerie Hegarty’s painting on display. The interplay between human creation and nature’s will speaks volumes about city life and American art history. 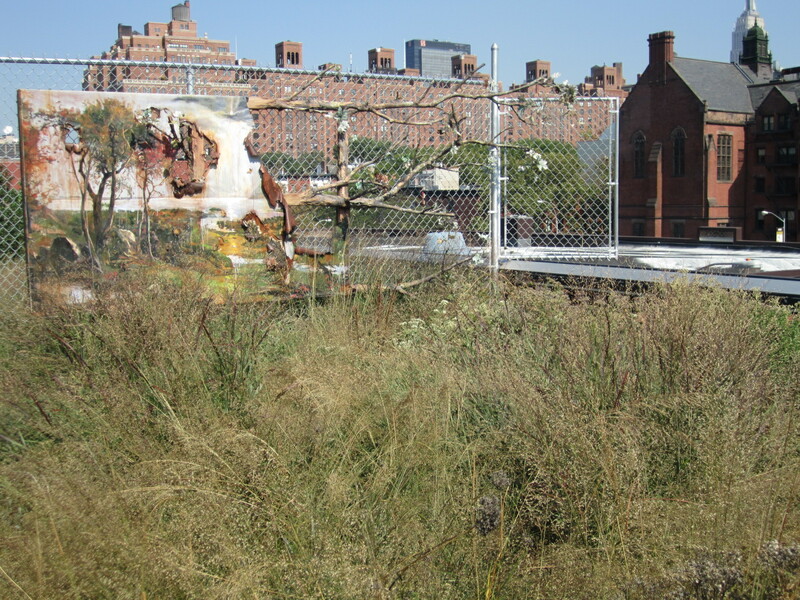 Valerie Hegarty's painting, city, and wild grasses- a perfect juxtaposition. If you exit the Highline on 20th street you will soon pass the Episcopal Church’s General Theological Seminary, which looks like you have just stepped into the English countryside (okay, I am also a bit of an Anglophile). You will also walk along a historic block of row houses which were partially conceptualized by Clement C. Moore, who is more often known for writing the Night Before Christmas (I have a family connection to this beloved American poem too, because apparently he composed it while visiting my ancestors at Constable Hall in Upstate New York) . 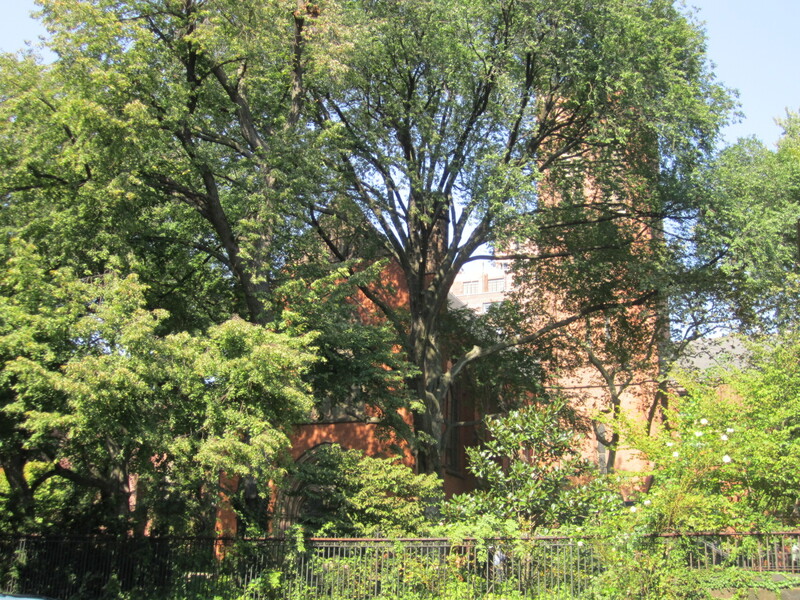 General Theological Seminary is a sanctuary in the city. 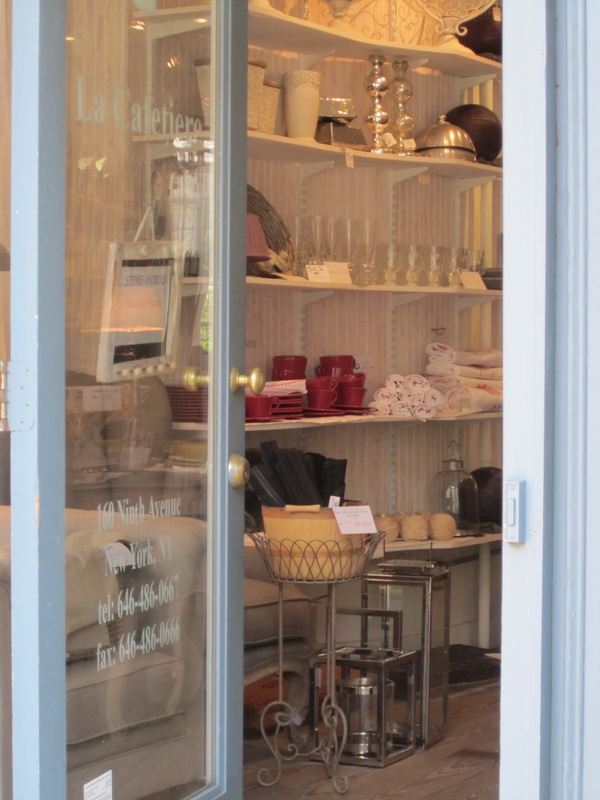 On the corner of 9th avenue and 20th street is La Cafetiere, a boutique full of French kitchen and homeware goods including glass and earthen ware, table linens, and decor items. The shop is attractively laid out, the staff friendly and the experience so transporting that I bought my mother a linen chicken that was one sale without twice about how ridiculous I would look in the airport check in. If you didn’t find exactly the French decor item or linen you were looking for at La Cafeteire my other favorite shop to drop into and browse is Les Toiles du Soleil, located at 19th street between 7th and 8th avenues (closer to 8th) which specializes in Catalan fabrics from the south of France. 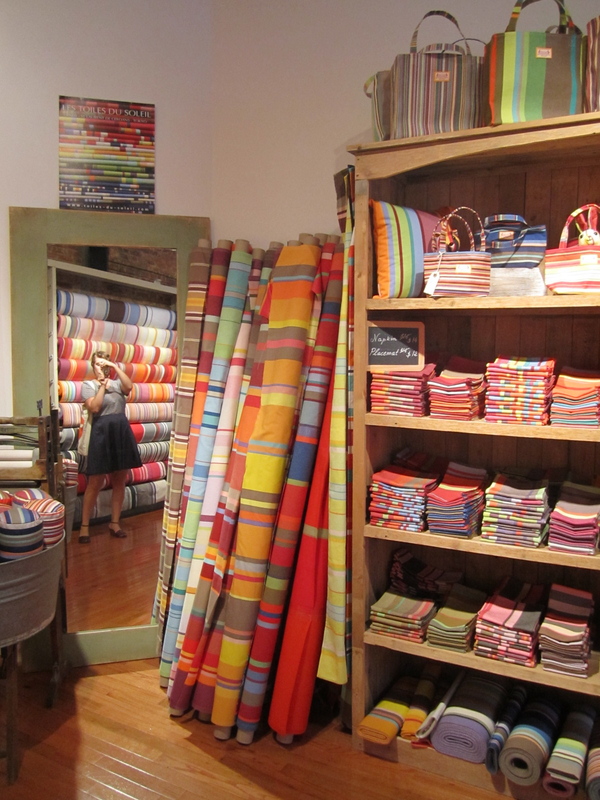 They sell fabric by the yard as well as items that are sewn in-house. I got a pair of Espadrilles here on sale at the end of the summer which have been loath to leave my feet since. I also got fabric to make cushion covers for my living room chairs, a beautifully colored iPad case for my mother, and a chic apron for my father. The owners are two of the nicest French people you will ever meet and if you speak French they will engage you in the kind of friendly banter that is usually only encountered in an un-snobby, out-of-the-way Parisian boutique. 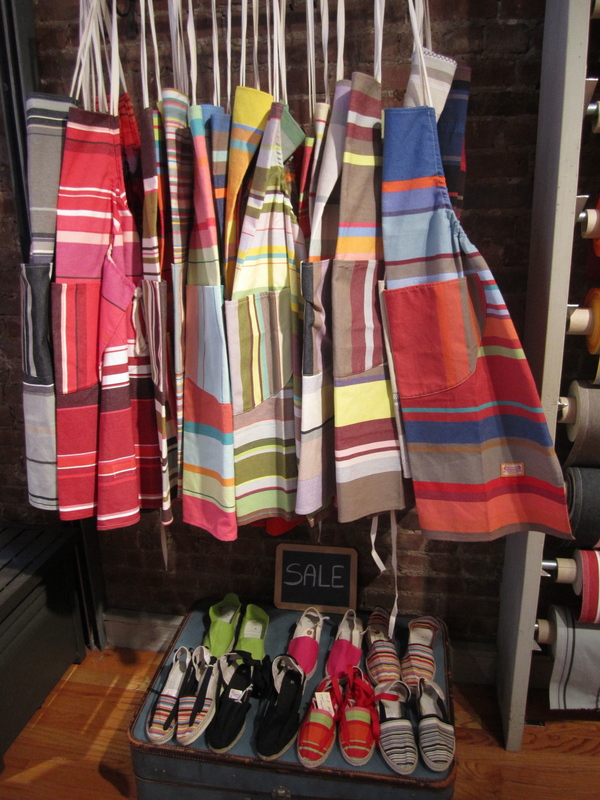 Fabric by the yard and handmade items at Les Toiles du Soleil. To end this wander maybe you are in want of some caffeine? 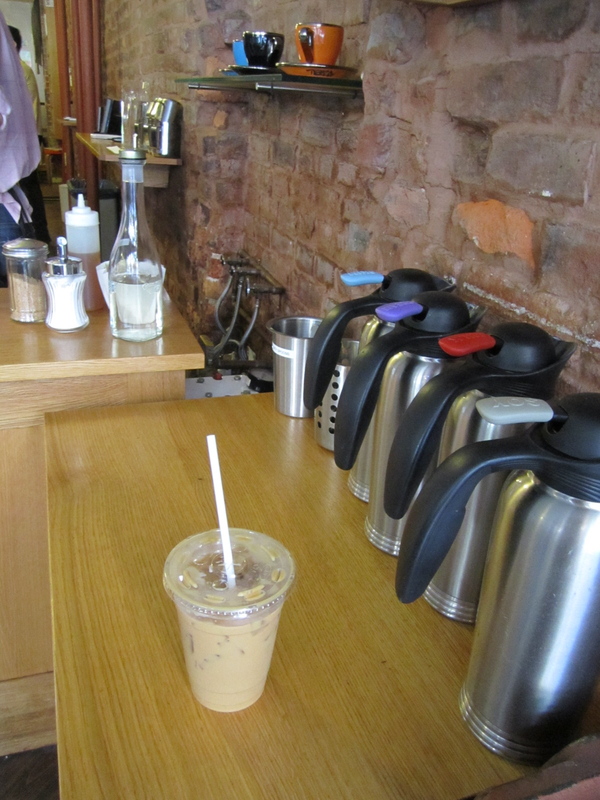 The best place in the neighborhood to go for that is Cafe Grumpy, which is not Parisian, not Londoner, but New York. 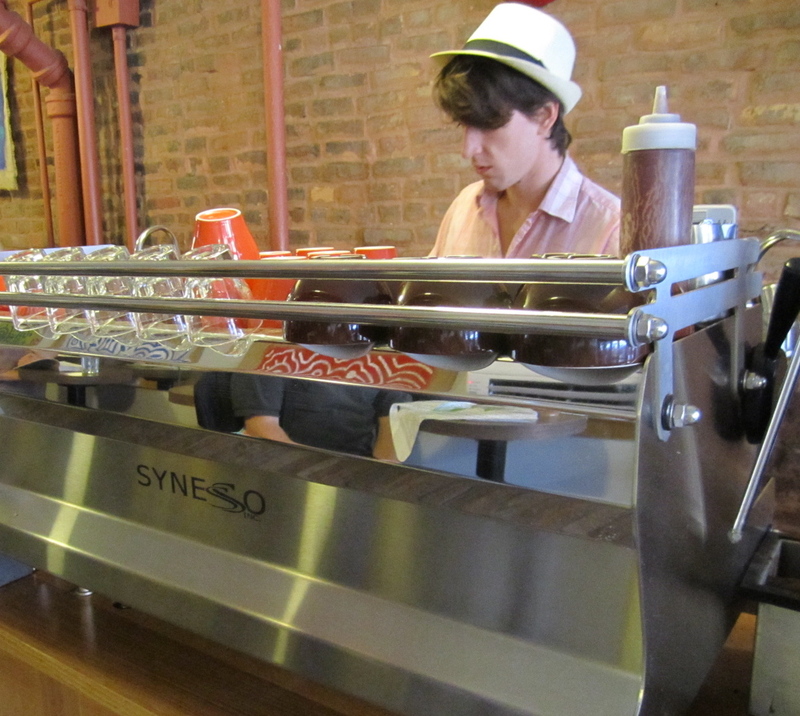 And wonderful with a menu of artisanal, single origin coffee to select from, individually made drinks, organic milk, and sweet staff members (and hello, they have a Park Slope location since 2009! Well, maybe I don’t have to mourn leaving Chelsea after all!). One of the talented baristas at Cafe Grumpy. A perfectly made iced Americano. Summer in a glass. This entry was posted in New York and tagged Boutique, Cafe, Chelsea, coffee, Constable Hall, Fabric, General Theological Seminary, Grumpy, Highline, La Cafetiere, Les Toiles du Soleil, New York, Park, Store, Valerie Hegarty, West. Bookmark the permalink. I love the Highline and I can’t wait until they extend it to 30th so I can walk over from the horrible Garment District during lunches (if I start taking them, anyway). We recently discovered Les Toiles du Soleil on a walk from my job (okay, Better Burger post-work) towards Union Square and got my boyfriend’s mother one of the smaller totes. The shop owners seem really charming and funny. There’s a certain appeal about those kinds of shops; I was glad we were already getting a gift or I would have been tempted to walk out of there with something for me.